My little sister brought an interesting puzzle to our Thanksgiving gathering. She said that she had tried multiple times to solve it and I watched her try again. 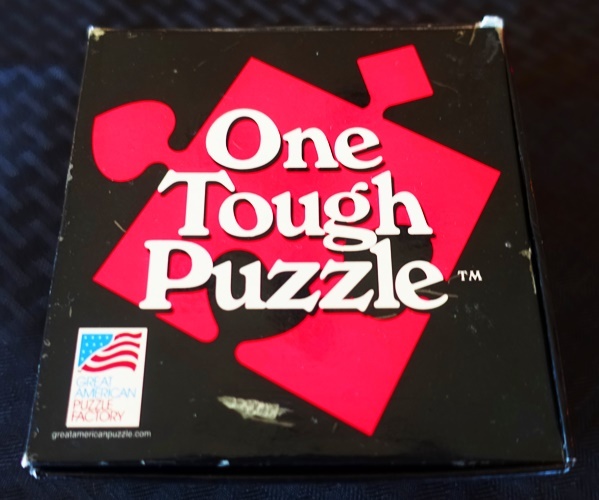 The Puzzle is titled One Tough Puzzle. When you open the box it says that there are over 300,000 wrong ways to assemble the pieces. However, there is only one right way. The puzzle has to be put together where all the center edges are together and that there can be six interlocks that stick out and six that are within the border. The pieces are stacked in the box and the interlocks are all shaped like playing card symbols. Hearts, Spades, Diamonds and Clovers. Each piece has two interlocks that extend and two that are within. 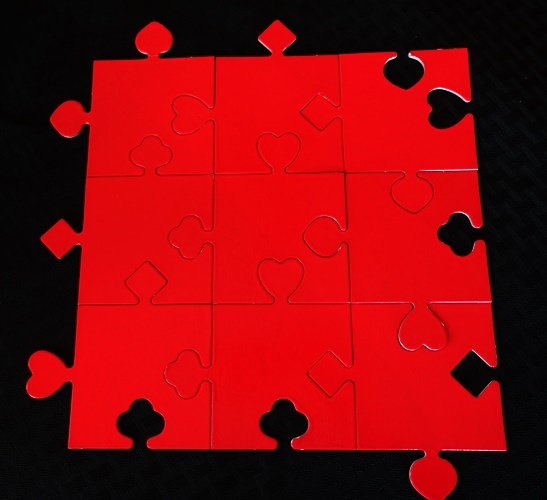 There are nine total pieces and they must be put together to form a 3×3 square. My cousin and I tried to get the puzzle together and could get up to eight of the pieces to work, but could not get it finished. We decide that we would google the solution so that we could frustrate my little sister. 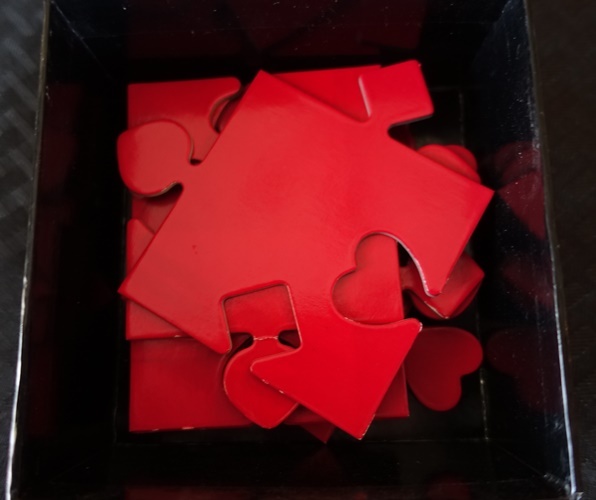 We of course found several pictures of completed puzzles, but soon found out that there are multiple versions of the puzzle. The pieces were not the same in our puzzle. I also found sites where people had created programs that you could run to solve the puzzle. I decided not to try any of the programs, but to go back to trial and error. However, I also found one big hint while searching for the solution. It was not the solution of course, but it really helped. 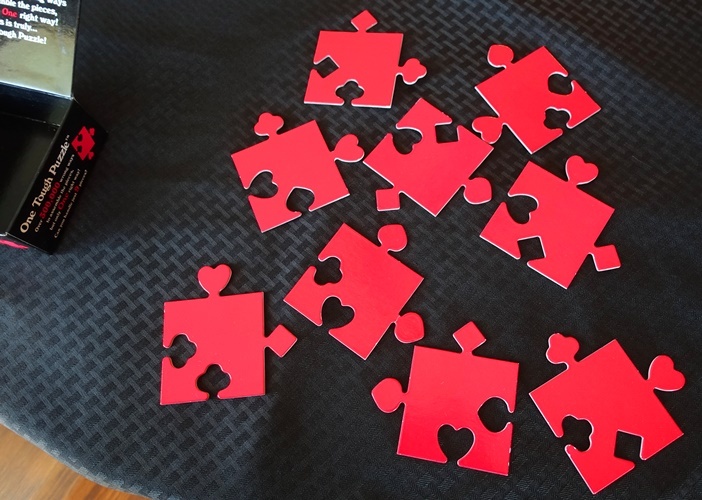 The puzzle is die-cut, and due to loose die tolerances you could easily find out which pieces fit smoothly and which had a bit of resistance. The puzzle was soon solved. 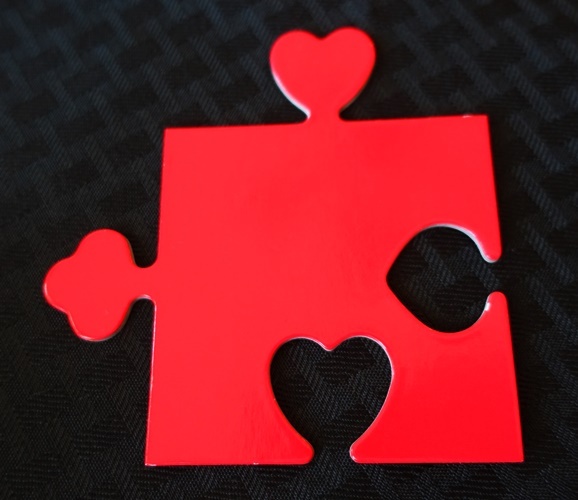 This entry was posted in Culture, Holidays and tagged hard puzzle, one tough puzzle, Puzzle pieces, puzzles, red puzzle. Bookmark the permalink.